Sushant Dubey (Manoj Bajpayee) and Aparna Dubey (Tabu) check in to a sprawling hotel in Mauritius with their 3-year-old daughter Titli. However, the night they land in the hotel, Titli gets kidnapped from their suite. The Mauritius Police Official (Annu Kapoor) investigates the case and realize that there is something extremely suspicious about the Dubey couple, especially the father. Has the father kidnapped the daughter? Or her mother has something to do with the abduction of Titli. Head to cinemas near you to find out more. When seasoned actors like Manoj Bajpayee and Tabu headline a project, you cannot help but pin a lot of hope on the film. The same happens with this week’s release Missing. You enter the cinema hall hoping that something extraordinary is coming up. But a few minutes into the film and you feel disappointed despite the movie boasting of an interesting premise. It is not because Tabu and Bajpayee fail to deliver. It is because the story does not do justice to their huge acting talent. Both actors pull off their characters really well. But had the story been a little better, they could have done even more. Annu Kapoor in the role of an investigation officer is good but overacts sometimes. The film has been directed by Mukul Abhyankar. The director tries his best to create something which does not allow the audience to move from their seats. But in absence of a powerful story and screenplay in hand, he fails to do much. Talented actors Tabu and Manoj Bajpayee help their best to lift the film from its sheer average appeal with their sharp performances, but that is not just enough. Missing has been shot across the beautiful landscape of Mauritius, and hence the every frame of the film looks fresh and pleasing to the eyes. Barring a few scenes, the editing of the suspense-thriller is crisp. Background score by M.M. Kreem is the highlight of the movie. The composer has done an exceptional job in creating the hauntingly beautiful background music score. Along with the background score, the music of the film has also been composed by extremely talented music composer M.M Kreem who has composed music for films such as Baahubali: The Beginning and Baahubali: The Conclusion to name a few. Songs are good, but there is nothing remarkable. Watch this film if you are a fan of Tabu and Manoj Bajpayee. Both experienced actors have done a good job. Apart from that, the film has nothing new to offer. Though the climax of the movie is very gripping, one cannot spend their hard-earned money just for that. 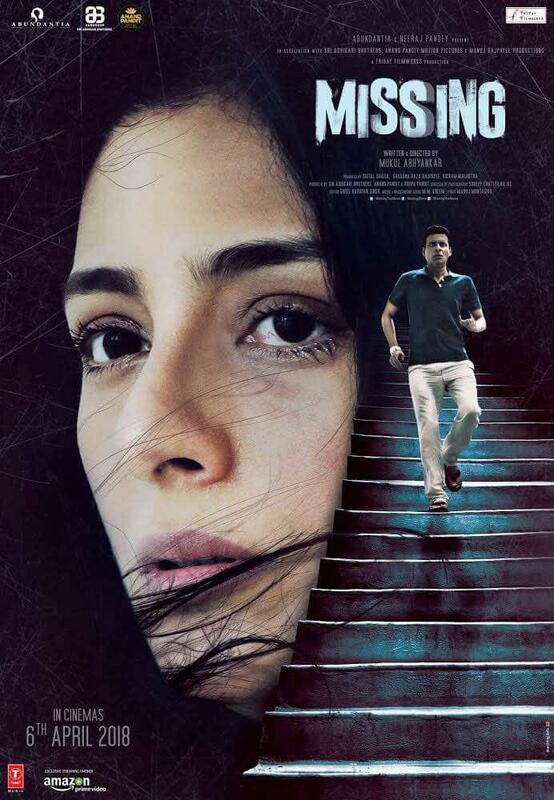 Check out the promising first poster of Manoj Bajpayee, Annu Kapoor and Tabu starrer ‘Missing’! Sonu Ke Titu Ki Sweety crosses the 90 crores mark; heading towards the elite 100 crores club!